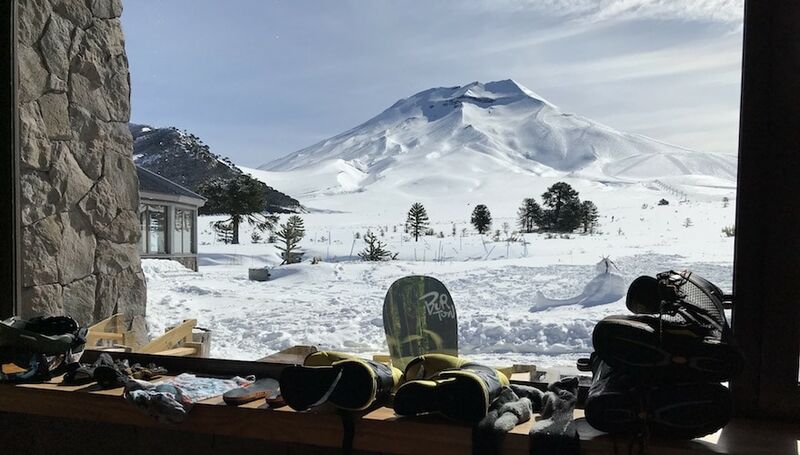 This guide will help you learn about the Corralco Ski Resort and Spa located on the stunning, snow drenched Lonquimay Volcano in Chile. Let’s get started, Corralco’s ski season kicks off as early as May! Corralco resort, based in Southern Chile’s Malalcahuello District is situated in Chile’s La Araucania Region. It is nestled on the southeastern slope of the beautiful Lonquimay Volcano. The resort is located 435 miles south from Santiago, Chile’s vibrant capital. 75 miles east of the city of Temuco (closest airport to the resort). The closest town is Malalcahuello. A mere 6 miles separates this little village from the resort. Getting to Corralco is pretty straightforward. We break down the options here. The easiest way to reach Corralco from Santiago is a combination of air and ground transportation. By air, the trip from Santiago to Temuco takes just over an hour, and there are multiple planes that make the trip each day. Check out LATAM and Sky Airlines for schedule and pricing. From Temuco Airport, the ski resort is just a 90-minute drive away. Of course, inclement weather can extend this time considerably. It is easy to secure ground transportation between the airport and the resort, whether it is through a shuttle van or a private 4×4 rental car. It is also possible to drive directly from Santiago to Corralco. The 700 km journey typically takes no more than 8 hours. Most of the drive is on Ruta 5, which boasts a zippy 120 km/hr speed limit. To reach the mountain from Ruta 5, turn off at Victoria and follow the signs to Malalcahuello via Curacautin. The majority of GPS systems will have no problem leading you to Malalcahuello, but there are some that cannot find Corralco. If you head east out of the center of Malalcahuello, you will quickly find signs for the ski center that tell you to veer to the left. Do so, and then continue to follow the signs towards Corralco and Malalcahuello National Park. They will lead you into the national park where you will find a fork in the road. Go to the right to get to the day lodge, or go left to visit the posh Corralco hotel and spa facilities. The drive between Malalcahuello and the slopes is only 6 miles. The roads connecting the town and resort are relatively easy to traverse, although part of them are unpaved. Throughout the short journey, drivers are treated to views of gorgeous Araucaria (Monkey Puzzle) trees. Taking an overnight bus from Santiago to Temuco is cheaper than flying and first class bus seats are quite comfortable in Chile. Once you arrive to Temuco, there are urban busses that can get you as far as Malalcahuello, home to numerous hostels, cabins to rent, and small hotels. Corralco is generally off the radar, but is quickly going to become one of the best ski areas south of Chillan. The resort and local government are pumping a lot of cash into this place with paved road, high-end hotel and numerous new locally owned cafes, eateries and lodging options on the main access road, shaded by the ancient Araucaria forest. The terrain has a good pitch for some fun off-piste exploring or cruising the groomers, however the real secret is Malalcahuello’s epic access to some outstanding backcountry touring and sledding. Corralco due to its’ location boasts the longest ski season in South America. Often opening as early as mid-May, the resort can stay open until November on a good year. On average, the resort operates from early June to late October. What is The Ski Terrain Like on The Lonquimay Volcano? Just a few small jumps and jibs. Most people come to ride and ski Corralco for the long cruiser runs, volcanoes and endless backcountry options. The resort has fast groomed advanced ski runs and very good off-piste and backcountry terrain expanding the expert options to nearly endless. Throw in the option to ski tour or split board to the volcano and nearby peaks or hire snow sleds to get you deeper into the Malalcahuello backcountry zones, this place will soon become a major backcountry destination. 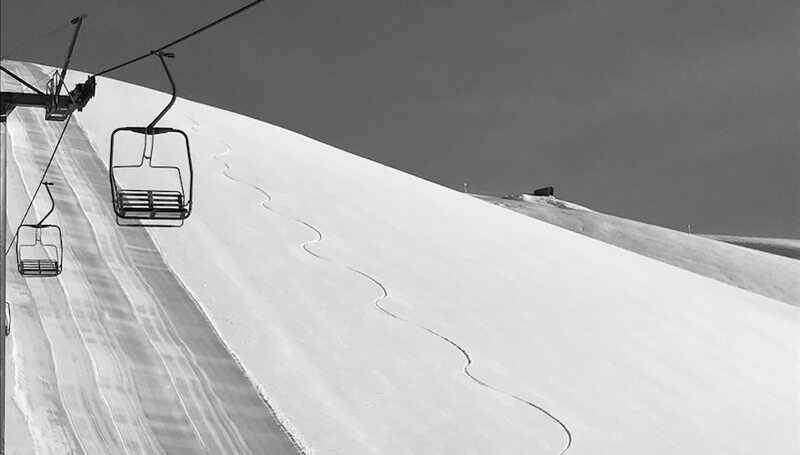 The terrain has perfect pitches for intermediate skiers and snowboarders. Not hugely expansive but great for a few days of exploring the resort and tends to have better snow compared to Villarrica to the south. A beautiful place to learn to ski and snowboard with a relaxed atmosphere and bilingual instructors. Non-skiers that do not want to ski Lonquimay should explore the local hot springs, go snowshoeing in the monkey puzzle forest or enjoy a day at the spa in the new high end Corralco hotel. Hotels and Lodging: On snow options (ski-in, almost ski-out) along with cozy cabins and bed and breakfasts in Malalcahuello, 20 minutes away. Night Life: Quiet, but there are always some fun locals or Corralco Hotel guests looking for a party! Corralco is our destination for our attempt to backcountry ski tour the southern face of the beautiful Lonquimay Volcano surrounded by old growth forest and pre historic Araucaria trees, often recognized as the “Monkey Puzzle” tree. The summit ridge is a really cool climb and sustained pitch 1200 meter vertical run from the crater down either the South or South East faces. Corralco is much more than a few chair lifts and Araucaria Trees. The rewarding randonee backcountry climb takes approximately 3 hours from the Lonquimay ski center base, and offers views that may rival those from Villarrica Volcano further south. From the large summit of Volcano Lonquimay, you can see 7 nearby volcanoes, surrounding Malalcahuello, and an epic view into neighboring Argentina. The Northeast face of the Llonquimay offers constant skiing and snowboarding with a 35-45 degree pitch, on classic snow covered volcanic terrain that can be skied well into November, Chile’s springtime. So, there we go with our run down of the Corralco ski area. Well worth the visit, especially if you are looking for something more off the beaten track. A ski trip to southern Chile should be on your adventure “to do list”.